Source: NZ Institute of Forestry (NZIF), 'Salary Survey', 2017. Chances of getting a job as a forestry and logging worker are good due to strong demand. >1 year of training usually required. Pay for forestry and logging workers varies depending on experience. Entry-level forestry and logging workers usually earn between $40,000 and $45,000 a year. Those working towards qualifications usually earn between $45,000 and $65,000. Forestry and logging workers qualified in an area of logging, such as tree felling or machine operating to Level 3, usually earn between $65,000 and $75,000. Crew managers and specialised operators may earn between $100,000 and $120,000. Forestry silviculture workers are usually paid on a piece-rate basis – for example, when pruning they are paid a set amount for every tree they prune. maintain and repair chainsaws and equipment. work in all weather conditions, and their working environment may be hazardous and noisy. Matt: My name’s Matt Stewart and I’ve completed my four-year apprenticeship in machine operations. First off, I started doing a general engineering apprenticeship for four years and then completed that and my dad needed a hauler-operator so I thought I’d come and give him a hand with the engineering background – that sort of helped him out quite a lot. Grant: This is a family business. My wife runs all the bookwork and Matt – he's my hauler-operator – he’s done an apprenticeship and yeah, he’s done really well. Matt: I got qualified as a machine operator and a yarder or a hauler. Last year I was awarded Apprentice of the Year and I was proud that I could sort of take that award because I’ve worked pretty hard to get it. Iain: Forestry's, yeah, it’s a skilled work. You can’t just get anybody off the street and do it. Now they could be driving machinery worth several hundred thousands of millions of dollars. And then the other real big one is obviously health and safety. The well-trained guy needs to be able to do it safely because we’re talking about big machines and big trees. Yeah, as a forest company we are reliant on Competenz to set high standards for their qualifications. We can’t just have people coming out and getting something that they might have got out of the side of a Weetbix packet. We want to know that when they come on site, they know what they’re doing, they’re doing it safely and they’re doing a good job. Matt: Yeah, after you’ve finished your apprenticeship in the bush there’s definitely a lot of opportunities to go further up in the rankings. You can get yourself up into management skills or even run a crew yourself. I’ve learnt heaps. I can’t even explain how much I’ve learnt really. Competenz have been really good. They’ve been on my tail for my books and the role for them was to sort of support me by getting through my apprenticeship and also, where I wanted to head in the future. Yeah, they’ve been great. Grant: Yeah, you can make a good career out of it. I have. I started off at the bottom and worked my way through to where I am now and it’s, you know, it’s there for everyone. Anyone can have a go at it. I wish I had started it a bit earlier. But, yeah, I’m making up for it now. Matt: I guess I looked at it like, I need a solid income with maybe starting a family soon and that sort of stuff, so I really needed to go in the direction of where all the work was and in Gisborne, the forestry is where all the work is at the moment so, definitely pleased I did the apprenticeship in both, and the engineering and the machine side of things. You’re getting a whole lot of knowledge and you’re getting paid for it so it’s a win-win situation. There are no specific requirements to become a forestry and logging worker. However, you can complete a New Zealand Certificate in Forestry Operations (Level 3) while working. This can be done as part of an apprenticeship. There are no specific secondary education requirements to become a forestry and logging worker. However, agriculture and horticulture, construction and mechanical technologies, and maths and English are useful. Forestry and logging workers need to be reasonably fit, healthy and strong as they need to move and set up equipment on logging sites. They also need to have quick reactions, good hand-eye co-ordination and a good level of stamina. the Government is investing in forestry research and sustainable forestry programmes to increase the plantation area on land suitable for growing forests. Forestry and logging workers are needed to help with this. It's an advantage for forestry and logging workers to have technical skills and experience because the job is becoming increasingly mechanised. Forestry and logging workers are usually employed by forestry contractors, who work for forest management companies. 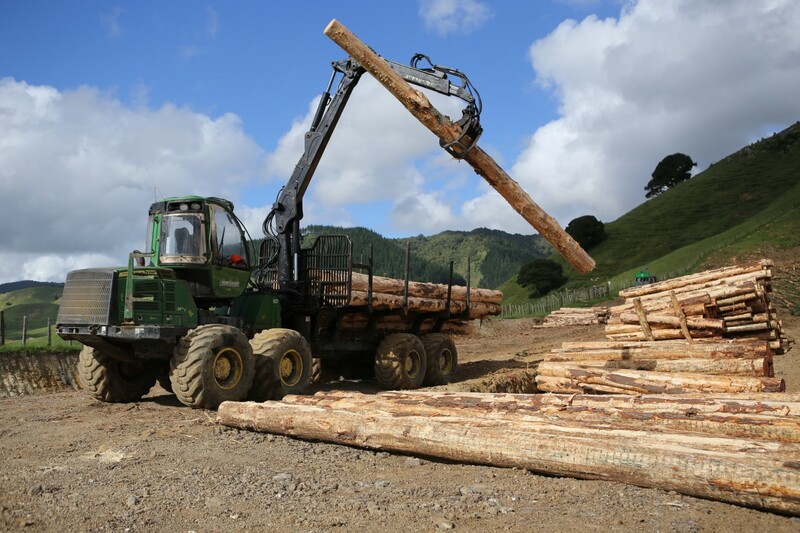 Ministry for Primary Industries, 'Planting One Billion Trees', accessed July 2018, (www.mpi.govt.nz). Forestry and logging workers can progress to manage their own crew and become forestry contractors. Forest mensuration workers may either measure standing trees to work out their size and value, or measure logs in the forest, at wharves or sawmills, to ensure that the logs meet clients' needs. Forestry harvesting workers cut and clear trees from forests. Forestry silviculture workers plant, prune, thin and release trees in a forest.